Posted July 23rd, 2012 by Yvonne Hawkey & filed under Studio Connections. 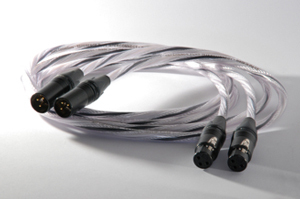 These rather self effacing cables from Studio Connections do just what cables should do and what so many cables arenâ€™t able to do, get out of the way. Sorry guys, no â€˜tone controlsâ€™ here ! Designed primarily with phase coherence in mind, the Reference Plus interconnects deliver a fast, clean and clear signal giving the music a more real presence than many cable products on the market.